This project involves the creation of five new dwellings on the roofspace of an existing building in the London Borough of Enfield. The existing building has a parade of shops at street level, with four existing residential flats above at first floor. The existing flats are currently accessed from the large, unattractive flat roof space. 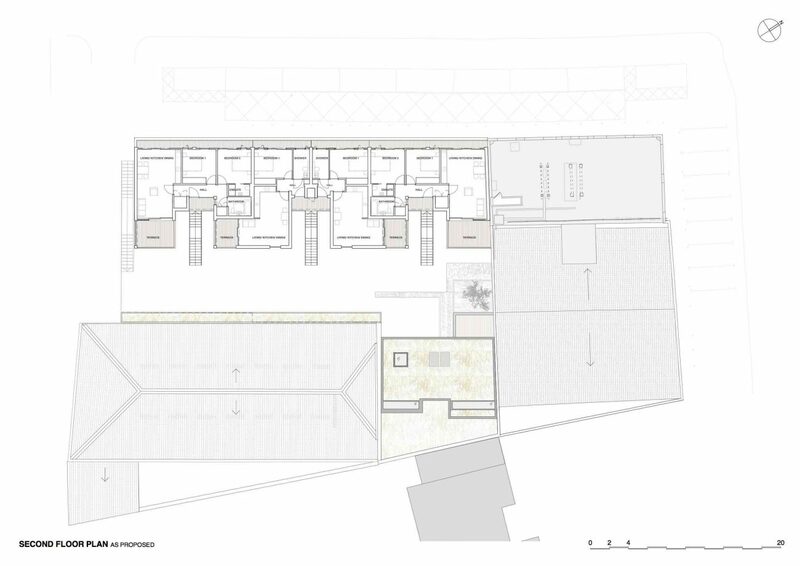 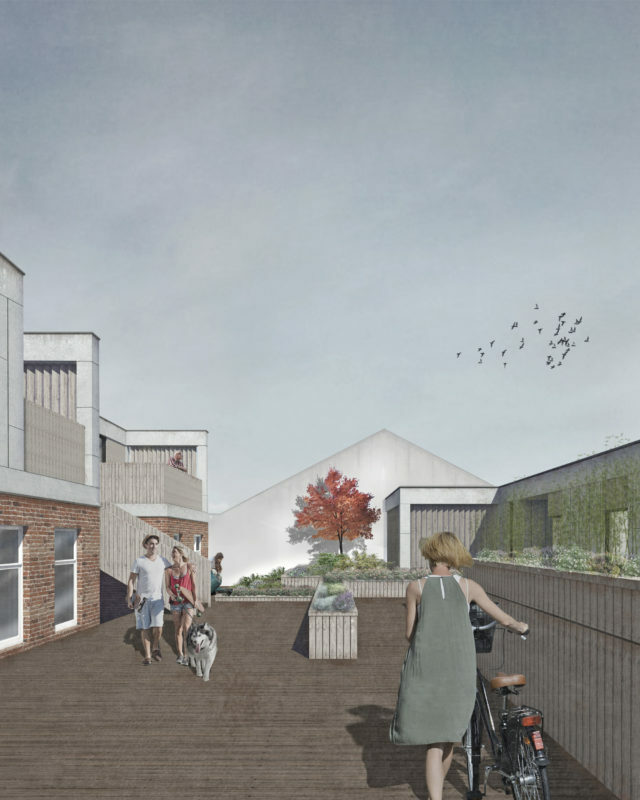 Central to the scheme is the proposed landscaping treatment to the existing roof to create an attractive communal space from which residents of both the new and existing flats gain access to their dwellings. Four new flats are located on the roof directly above the existing first floor flats. 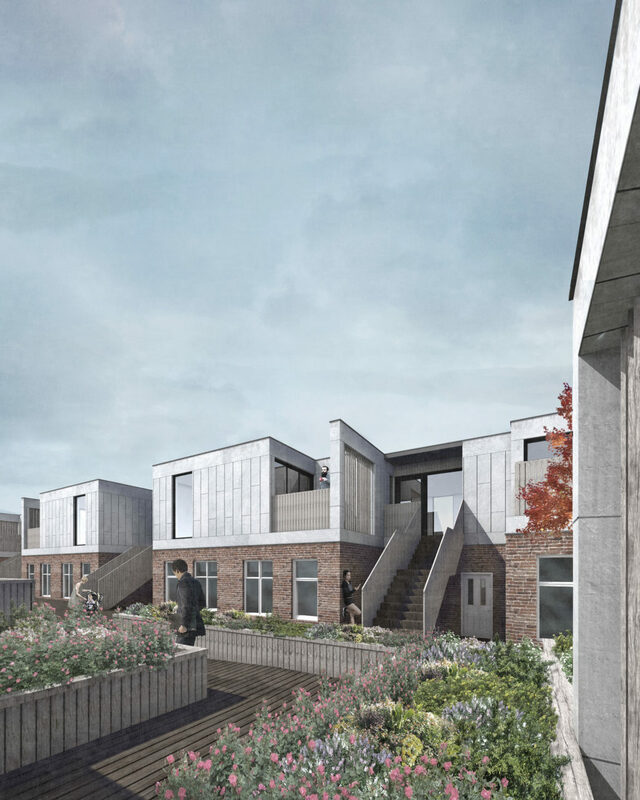 These are accessed from new external staircases that lead up from the communal landscaped space. 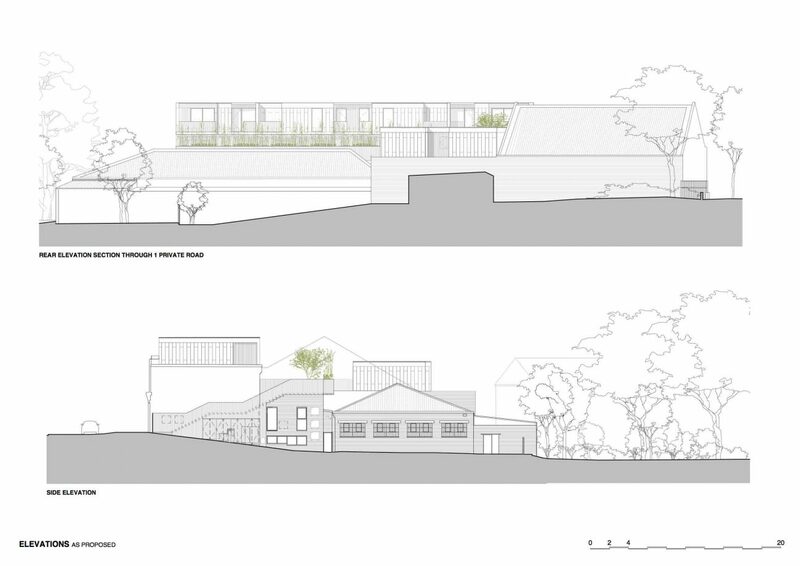 A series of terraces and balconies to the new flats are positioned to overlook the central landscaped space. 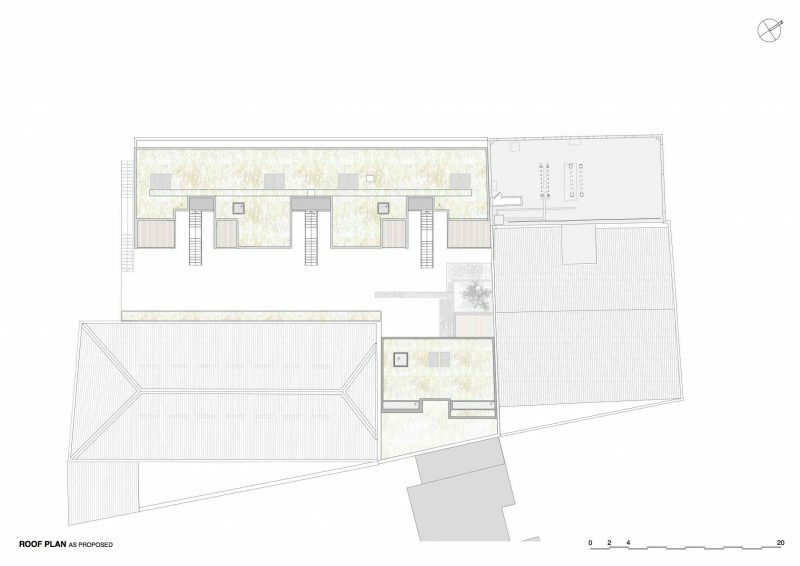 A fifth flat is located in the corner of the existing roof. 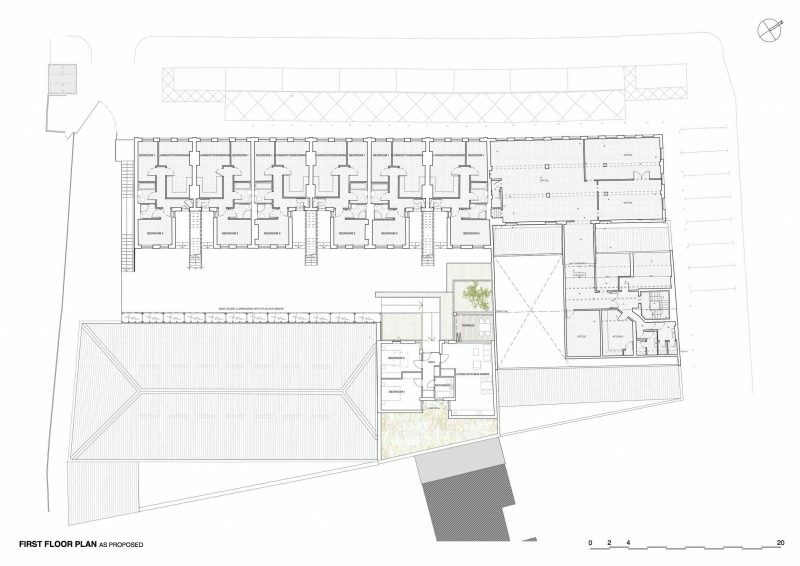 In this position the new building creates a sense of enclosure to the central landscaped space. 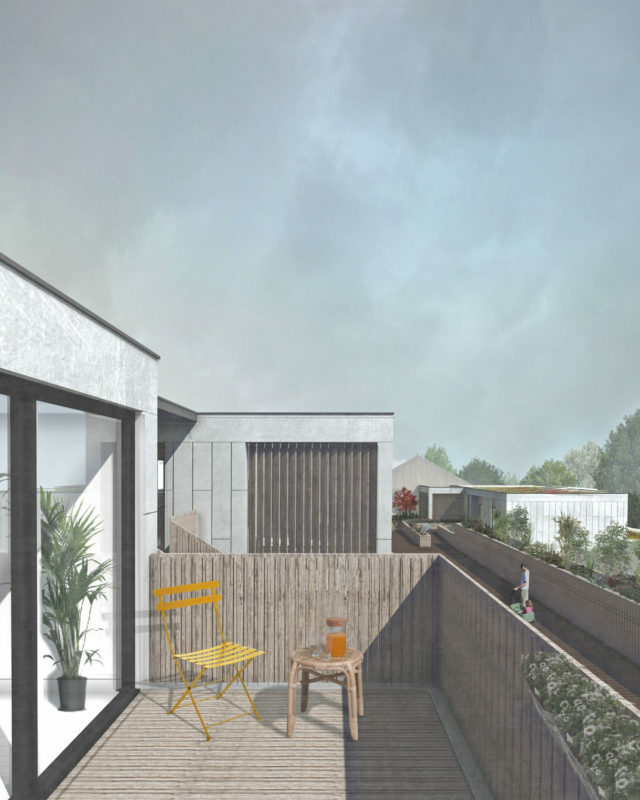 Small areas of contained planting are combined with a consistent boundary treatment to create a sense of enclosure and privacy to the external communal space and screen it from the neighbouring residential buildings. 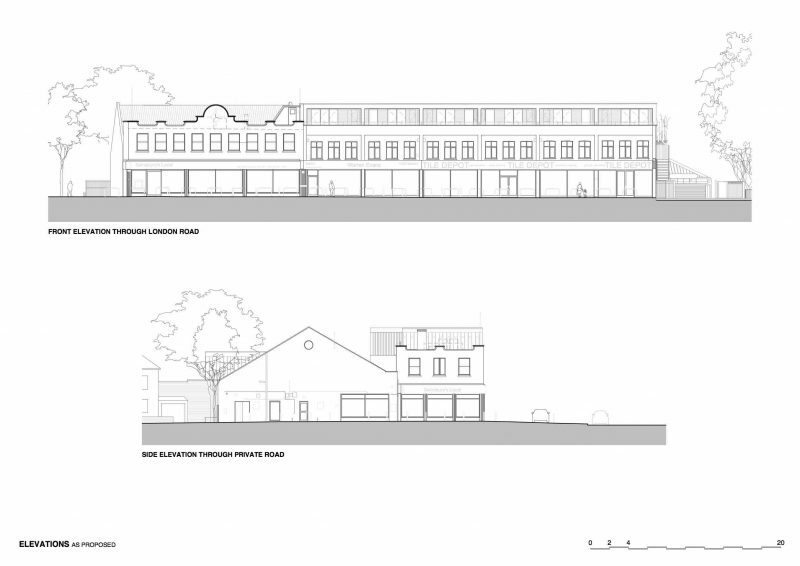 The existing front façade was considered of significance locally, and the additional storey of accommodation is set back at the front to reduce its impact. 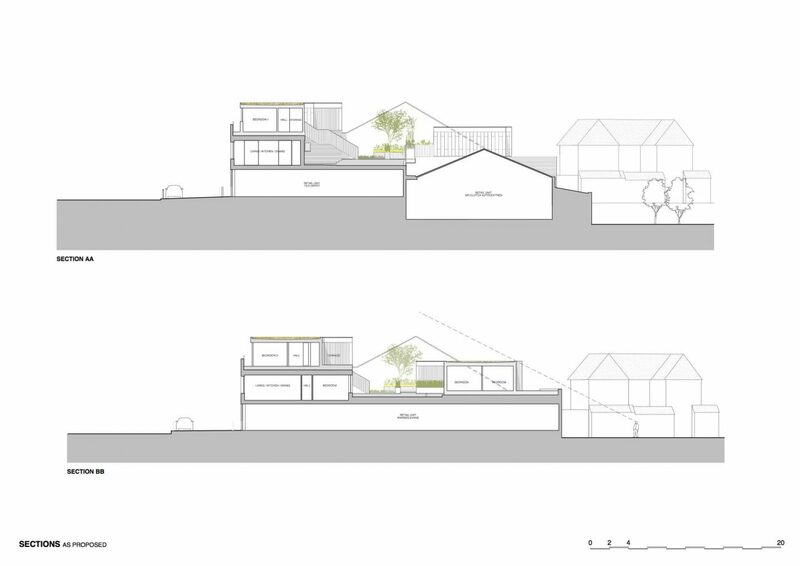 All dwellings are dual aspect with private external space to front and rear and comfortably exceed minimum space standards.